Go out Naebo Train Station from South Exit, then turn left at the street in front of the station. 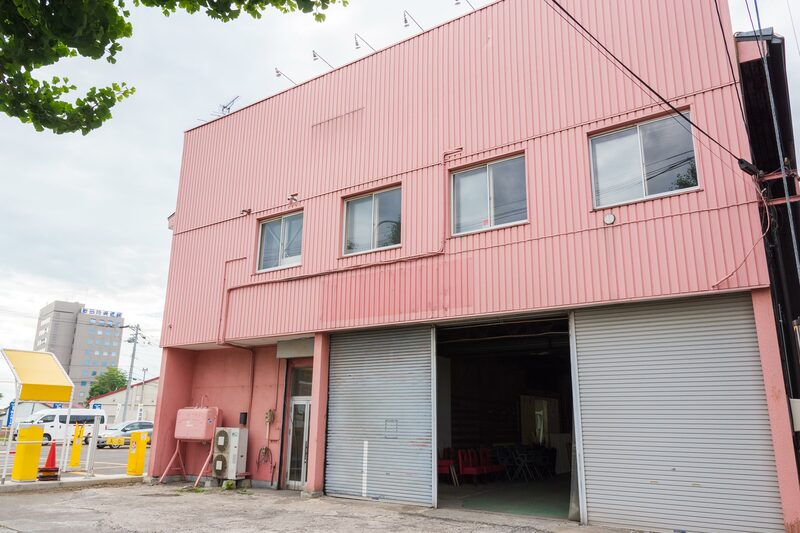 Then keep walking and pass a small shop, Lawson, and across the street, then keep going to the left, then find the pink colored warehouse which is Naebono Art Studio. ‘Times’ parking lot is next to the studio. Around 10 minutes walk from the Naebo station to the studio. Naebono is mainly for private use as studios and offices. For security reason, our entrance is usually locked, except for public events. If you visit us privately, please contact any member in Naebono beforehand.